Read our news about upcoming updates, new features and articles. Subscribe to our email list. This history/travel app lets you explore the whole Roman empire. With thousands of historical sites geo-located on the map, ranked by interest, supported by our unique up-to-date descriptions but also by the ancient texts that mention them. You are free to browse the app and read thousands of original texts about ancient Roman places located on the map. Find at a glance the ancient sites near you, or create your own lists of places to visit. Read the ancient poets and historians while sitting in the landscape they described. Share content with friends and family on social media. Thousands of ancient places, monuments and archaeology museums appear on Google or Apple map with a precision of up to 5 meters. Sites are ranked from 0 to 5 stars according to their historical importance and their visual interest for a visitor. Every place is accompanied by up-to-date proprietary article. The App allows you to create custom lists of places to use as your private guide; rate the ancient sites you visit; navigate the shortest route; and share Time Travel Rome content on social media. Your device stores a library of hundreds of complete ancient texts – history, poetry, geography, and mythology - in English translation. Place names are linked to the map, so you can find them instantly, or find every mention of a place that interests you. Free download, free GPS location of all places, free access to all ancient texts and to external sources of information even with no subscription. You can create your own itinerary and pick up only the places that you are interested in. You can freely share our texts about ancient places with your friends or family on social media. You can easily navigate through the app by entering the name of the city or your current location, and our app will show you all the nearby ancient places and points of interest connected with the Roman Empire. 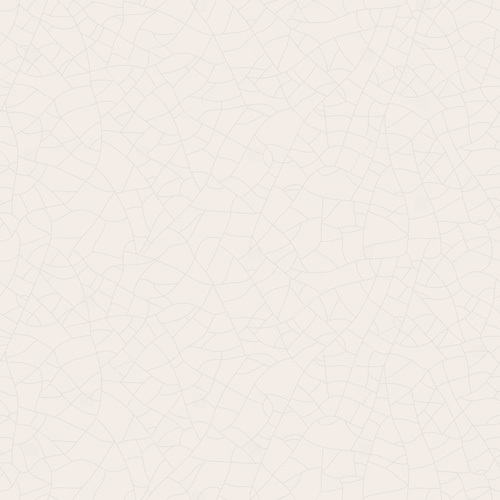 Do you want to see how our app works? Ph.D., Ancient History and Archaeology, Scuola Normale Superiore di Pisa and Ruprecht-Karls Universität Heidelberg. Capri is an enchanting place where History and Nature mingle perfectly and produce one of the most fascinating destinations in Italy! "About this place": Emerging from the deep blue Mediterranean sea in front of Sorrento, between the Gulf of Naples and the Amalfi coast, the small island of Capri has been occupied since prehistoric times. Around the 7th century BC, the first Greek colonists established two separate settlements (today's Capri and Anacapri) but it was Augustus who fostered the island's infrastructure with villas, aqueducts, and gardens and made it his private property. Emperor Tiberius, longing to avoid the dangers and the oppressive atmosphere at the Roman court, took refuge in Capri and chose it as his permanent residence from 26 AD until his death in 37 AD. He built as far as twelve villas but was most fond of Villa Iovis since the place was especially out of reach and could be easily guarded. In 182 AD Emperor Commodus sent his sister Lucilla into exile to Capri on the charge of treason and had her killed soon afterward. "What to see there": Prehistoric evidence has been found on the island at several sites, as even attested by the Roman historian Suetonius. Remains of the fortification walls built by the Greeks with limestone rocks and square blocks are still visible from the terrace of the funicular railway. The Roman villas have been identified too and their ruins are visible along the coastline. Especially well preserved are those excavated in the 19th century and then in 1935 at the opposite sides of the island: facing west there is the "Villa di Damecuta", while the Villa Iovis lies on the north-eastern tip. Its complex consisted in a four-sided court with cisterns for collecting water; a ramp led to the entrance hall and a corridor paved in white mosaic led to a second vestibule, from which one could pass to the reception hall on the east side and the baths on the floor above. The west side was occupied by the servants' lodgings, whereas the imperial apartments, a large semicircular hall, and the private quarters were placed north. A lighthouse towered on the ridge of the mountain beside the villa. On the other hand, the "Villa di Damecuta" included a belvedere, a residential section, and an even more scenic lodging on the slope of the promontory. This building was buried in 79 AD by the cinders from Mt. Vesuvius. The most significant finds from the excavations on the island are collected at the Museo Ignazio Cerio in Capri and the Museo Archeologico Nazionale in Naples. I chose an article about Tarragona, as it is the one that seems to have it all: historical content revealing the city's origins and following its development to the very end, its importance in the wider historical context, some major personalities, and descriptions of significant buildings and details of what survives. "About this place": Tarraco already existed as an Iberian town when the Romans began their conquest of Hispania at the start of the Second Punic War in 218 BC. Roman Tarraco was founded by Scipio Calvus and became a fortified supply base protected by walls, with its own port. It is now acknowledged to be the oldest Roman settlement anywhere in Spain and to have played an important role in Rome's wars with the Carthaginians. It remained a loyal ally of Rome throughout the gradual conquest of the Iberian peninsula over the next 200 years, during which time there was a continuous military presence in the city. Tarraco was promoted to the status of colony under either Julius Caesar or, possibly, Augustus, probably in return for support during Caesar's war against followers of his rival Pompey. Augustus stayed at Tarraco while recuperating from illness during his campaigns in Spain and the city enjoyed great prosperity around that time and into the first century AD. As capital and residence of the governors of the province of Hispania Citerior, its population increased to around 30,000. A temple dedicated to Augustus was built after his death in AD 14 and further prestigious buildings, such as an amphitheater, were added under Galba and Vespasian. Hadrian is also thought to have visited the city in AD 122–123 and to have rebuilt the temple of Augustus, as did Septimius Severus subsequently. Tarraco went on to serve as capital of the province of Hispania Tarraconensis, encompassing most of what is now Spain, but went into a gradual economic decline around the end of the second century. The city was damaged during invasion by the Franks in 257 but was restored and continued life as one of the major cities of Hispania. In 476, during the disintegration of the Roman empire in the fifth century, Tarraco was destroyed by King Euric. It revived later on under the Visigoths. "What to see there": Declared a World Heritage Site by Unesco, Tarragona is the site of some of the most extensive Roman ruins in Spain. Among the most spectacular of these are the amphitheater and the Roman aqueduct locally known as El Pont del Diable (Devil's Bridge). Northwest of the city is a Roman tomb traditionally supposed to have been built for the Scipio brothers, who played a prominent role in the city's early history. Other remains include substantial sections of the walls and the presumed palace of Augustus. Relics of the Roman period are preserved in Tarragona's Archaeological Museum. One of the most exciting things about visiting Rome is searching the modern city for those hidden secrets that many tourists overlook. Ancient aqueducts and drains are such a quintessential part of Roman culture, and it's amazing to know those channels are right under our feet - still working! "About this place": The Aqua Virgo was built by Marcus Agrippa in 19 BC to supply water to the baths being constructed on the Campus Martius near the Pantheon. Frontinus says the Aqua Virgo was named for a young girl who showed Roman soldiers the location of the spring that became the source of the aqueduct. The name more likely originated from the spring's high quality water, being particularly cool and clear, and free of limestone. The spring from which the Aqua Virgo originates was located in a marshy region near the 8th ancient milestone north of the city (near the train station of modern Salone). The 20 km length of the Aqua Virgo ran primarily underground along the ancient Via Collatina. It entered the city from the north at the Pincian Hill (near the current Villa Medici) and originally emerged near the Piazza di Spagna. An overhead arcade then carried the water to the Saepta Julia near the Pantheon where it was distributed to the baths and for public use. A still-visible inscription on the Aqua Virgo's arches indicates that Claudius repaired portions of the aqueduct in AD 46 after Caligula removed sections of stonework for his amphitheatre. In AD 537, the Goths, in their attempt to lay siege to Rome, cut the water supply to Rome's aqueducts. They then attempted to enter the city using the underground channel of the Aqua Virgo making it as far as the Villa Medici before being discovered. The Aqua Virgo has undergone a series of later repairs and renovations, and is the only ancient Roman aqueduct to still be working today. A spiral staircase (Pincio Chiocciola) located near the Villa Medici still provides access to the underground channel for inspection and maintenance. "What to see there": While the functioning channels of the aqueduct are not accessible to the public, several sections of the Aqua Virgo remain visible and well preserved. Three travertine arcades that were repaired by Claudius remain in via del Nazareno, as well as an access door for inspection. A 320m length of channel runs along via di Pietralata near the bend in the Aniene River. The castellum aquae of the Aqua Virgo aqueduct is fully accessible to visitors via a tour at the underground archaeological area of Vicus Caprarius (The City of Water) which is located on Vicolo del Puttarello near the Trevi Fountain. "About this place": Built during the second quarter of the 5th century A.D., the Mausoleum is a structure built to host three large sarcophagi and was supposed to contain the remains of the empress Galla Placidia, her husband and her brother. This Mausoleum history is shrouded in mystery, as no evidence exists to say the empress actually ordered its construction or to disprove it. Some historical sources place Galla Placidia resting place in the Saint Peter basilica in Rome, removing her completely from this site, while the local tradition says that she was placed in one of the three sarcophagi in the Mausoleum and embalmed, so that visitors could see her through a small window. This local legend explains away the current absence of any trace of her remains by saying that a visitor, during the 16th century A.D., caused her embalmed body to be burned by dropping a candle inside her tomb. "What to see there": The structure of the Mausoleum is fairly small and composed by one room built in a cross design. The outside of the building is plain, without almost any decoration visible, contrasting with density of the artistic decoration inside. In the Mausoleum the walls and the roof are decorated with well-preserved Byzantine mosaics, famous for the wide and beautiful color schemes, depicting multiple small religious scenes. The three Sarcophagi are made of marble, and while two of them have been produced between the 4th and the 5th centuries A.D., the central one has been dated back to much more ancient Roman times. The Mausoleum is accessible for visit with or without a guided tour, and is one of the sites accessible with the purchase of one unified ticked. A story related to this place is as follows: Galla Placidia served as empress and regent for her young son Valentinian III, but was also known as a religious figure, protagonist of the Ravenna's cathedral of St. Jhon the Evangelist foundation legend. The legend says that, when the new church was being built, no St. Jhon relic was in Ravenna to be its foundation, an absolute necessity for the foundation of a church during late antiquity and early medieval times. Galla Placidia spent an entire night praying for a solution to this problem, and the saint himself manifested in front of her, leaving his sandals behind - to become a miraculous relic on which the cathedral could be founded. It's the monument that perfectly captures this project. It has a rich ancient history, a remarkable story, and, on the face of the altar as it stands today, a wealth of discernible imagery that pays testament to the propagandistic genius of Augustus in particular and the Romans in general. "About this place": If not the most emblematic surviving monument of the Golden Age of Augustus, the Ara Pacis—or Altar of Augustan Peace—is certainly the most complete. Vowed on July 4 13 BC, after Augustus's three-year campaign in Hispania and Gaul, it was dedicated a little under four years later on January 30 9 BC. Where Augustus erected it on the Campus Martius was a stroke of genius. Standing in line with the Solarium Augusti obelisk, every September 23 on Augustus's birthday the sun would line up behind the obelisk and cast a shadow from its tip. This shadow would point right to the centre of the altar; an astrological trick that seemed to attest to Augustus's divine favour. The Ara Pacis may have been a symbol of peace, but this peace came at the price of the countless pigs, sheep, and bulls that were sacrificed upon its altar. In a show of ceremonial solemnity, animals to the slaughter would be led within the walls of the Ara Pacis and set upon its central altar. There they would be sacrificed, attended to by the Pontifex Maximus and the Vestal Virgins. The altar's descent into obscurity began under Hadrian. Once the Antonine emperor raised the ground level of the Campus Martius, only the top friezes of the altar were visible. As Rome fell into decline, so too did its monuments. And over the years the Ara Pacis sank slowly but surely into the silt of the Campus Martius. For centuries it lay almost perfectly preserved in the mud, picked at piecemeal by those who happened to stumble upon it. Excavations began in earnest only at the beginning of the twentieth century, and under Benito Mussolini the altar was unearthed, resituated, and reassembled at its current location. Today, the Ara Pacis is housed within Richard Meier's impressive glass and steel structure on the Tiber's eastern bank, close—somewhat fittingly—to the mausoleum of the man who dedicated it. "What to see there": The Ara Pacis's illustrative programme speaks volumes of Augustan propaganda. Lining the bottom relief that runs along the altar's outer wall is a decorative floral pattern, taken by most scholars to represent the fertility and rebirth that was promised to accompany the Augustan Golden Age. This is again emphasized by the relief at the top left of the monument (when facing it from the back) which depicts the earth goddess Tellus. Taken together, this symbolism would have been particularly powerful, especially given the decades of bloody civil war that had preceded Augustus's reign. The altar's front left frieze shows the moment the shepherd Faustulus discovered the babies Romulus and Remus. As founders of a new incarnation of Rome, the parallels between Augustus and Romulus were obvious: so much so that the years following Actium, Octavian nearly changed his name to Romulus but instead (quite wisely) chose to go with Augustus. The front right frieze shows Rome's legendary founder, Aeneas, sacrificing to the Penates or "household gods"—the small figures within the temple on the left. The parallels between Aeneas and Augustus were also there to be drawn: both had founded afresh a city consumed by civil war; both were unfailingly pious; and both could claim divine ancestry from the goddess Venus. My favorite part about history are all the fascinating details and personal stories that come out of it, and not only did York have an excellent range of historical facts and interesting sites to visit, but I also loved being able to include the little tidbit about Septimus Severus's last words of advice to his sons. "About this place": Eburacum, also sometimes written Eboracum, is a latin variation on an ancient Brittonic word and means "yew tree place." There is scattered evidence of human settlements in the area all the way back to the Mesolithic Era, but sources suggest that by the Roman Era it was again deserted. The first known settlement was Eburacum, founded by the Roman Ninth Legion as a military camp in 71 A.D. and chosen for its strategic location near the junction of the River Ouse and the River Foss. Though initially constructed of wooden structures, the fortress was eventually completely reconstructed of stone, and over the years a large civilian population began to settle around it. By 237 A.D., the town was given the highest legal status in the Roman Empire, that of colonia, and was one of only four to exist in Britainnia. In 122 A.D., Emperor Hadrian visited Eburacum on his way north to plan his famous wall, and he replaced the Ninth Legion with the Sixth Legion, which would remain stationed there for the remainder of the Roman occupation. Two other Roman Emperors visited, and both died in the city. Septimus Severus held court there from 208 A.D. until his death in 211 A.D., when, as the story goes, he told his sons on his deathbed, "Agree with each other, make the soldiers rich, and ignore everyone else." In 306 A.D., Constantius I also died there, leaving the throne to his son Constantine. Eburacum grew substantially in the years following, but began to decline when the Romans withdrew from Britain. Eventually it became a medieval settlement, and continued to evolve into present day York. "What to See there": The remains of a Roman basilica, legion barracks, and a Roman road can be viewed in the undercroft of York Minster Abbey, and outside the Abbey is an ancient Roman column. In the Yorkshire Museum Gardens are the Multangular Tower of York, a structure that has been built upon throughout the centuries but began as the south-west corner of the Roman Fortress, and several Roman sarcophagi. The Yorkshire Museum houses one of the largest collections of Roman artifacts in Britain. For a truly immersive experience, lodging and pub cuisine are available at the Roman Baths Public House, and underneath the pub the ruins of the legionary bath house are open for viewing. It is a UNESCO world heritage site and the article about it encompasses all that is good with this app: history, from the ancient Assyrians through to the Arab conquests, rich and magnificent archaeology, and ancient sources to encourage further research. "About this place": An important city on the southwest coast of Cyprus, Kourion is part of the UNESCO world Heritage Site of Paphos. The site is believed to have been founded by the Argive people according to both Herodotus and Strabo, and the archaeological evidence also correlates to this extensive antiquity. The city retained prominence under the Assyrian occupation of Cyprus, and later passed to both Egyptian and Persian authority. It is known that King Pasikrates of Kourion aided Alexander the Great's siege of Tyre in 332 B.C. This loyalty to the Macedonian King was to prove fruitless as the Ptolemies eventually secured control of the island following the wars of succession after the death of Alexander. Kourion originally passed into Roman control in 58 B.C., under the Lex Clodia de Cyprus, which annexed Cyprus to Cilicia, and therefore to Rome. It was briefly passed back into Ptolemaic rule under Cleopatra VII (of Mark Antony and Asp fame), before reverting back to Roman rule. Cyprus was established as a Senatorial province in its own right in 22 B.C. The city remained influential under Roman authority, with the Pan-Cypriot sanctuary of Apollo Hylates a contributing factor to this importance. In the later imperial period, the city was the site of the martyrdom of Philoneides, an early Bishop. In the late 4th century a series of earthquakes ruined the city, and although it was later rebuilt, the site never recovered to its former glory and was given up as a site following a sack by Arab forces In 649 A.D.
"What to see": As you would expect of a UNESCO World Heritage Site, there are a wealth of archaeological remains to be seen at Kourion, many of which date to the Roman and Late Roman periods. Prominent among these remains is the Sanctuary of Apollo Hylates, a Pan-Cypriot sanctuary which was comparable importance to the Sanctuaries of Zeus Salaminos and Paphian Aphrodite on Cyprus. Although the sanctuary is believed to date as far back as the 8th century B.C., much of the present remains date to the 1st and 2nd centuries, including the temple and the circular monument. The baths were completed later, under the reign of the emperor Trajan. The theatre is similarly a decidedly Roman construction, baring evidence of Trajanic era renovation and enlargement, alongside later, early 3rd century modification to accommodate gladiatorial games and venationes (beast hunts). The theatre appears to have been abandoned in the late 4th century, likely due to seismic activity. In terms of other public building remains, one is able to see the remains of the Forum, the thermae, the stadium, and the remains of a pyramid-like structure. Kourion is notable for a number of well-preserved domestic remains. These are all variously names after the exceptional mosaic artworks that survive within. These include the House of Achilles, the House of the Gladiators, and the House and Balnae of Eustolios. The remains of basilicas from the later imperial period attest to the importance of Kourion in the late imperial and early Christian period. "I chose Gerasa because it contains so many fascinating examples of Roman architecture and is one of very few surviving places that can really convey the full scope of a Roman city. I also feel that it is somewhat overlooked when compared to more famous sites such as Pompeii and hopefully its inclusion here will encourage people to gain a greater appreciation for it"
"About this place": The ancient city of Gerasa (Jerash) was originally a small Arab / Semitic village known as Garshu. The name of the settlement has changed several times throughout the centuries; under the Romans, it was called Gerasa and in the Muslim period, Jerash, the name it still carries to this day. The excavation of two human skulls, gives a clear indication of human activity in the area as far back as the Neolithic. Epistolic evidence, in the form of both (ancient Greek) inscriptions within the city and ancient literary sources, credits the founding of the Graeco-Roman city at the site in 331 BC to either Alexander the Great himself, or to his general Perdiccas. Gerasa was part of the vast tracts of territory that came under the auspices of Rome in 63 BC thanks to the hugely successful campaigning undertaken throughout the Levant by Roman general Pompeius Magnus. By the end of the 1st century AD, Gerasa had become a hugely prosperous city. Much of the city's richness was owed to trade and thus was greatly boosted in 106 AD when the Emperor Trajan annexed the Nabatean Kingdom and greatly improved the road network throughout his newly formed province of Arabia. Gerasa reached its peak around the beginning of the 3rd century AD when its population reached as high as 20,000 people. The city's glory days, did not, however, last for much longer; shipping routes began to take over as the primary source of trade and Gerasa began a slow decline. Gerasa was able to maintain a relative level of success throughout the Byzantine period, but was dealt successive blows in the form of conquests, first by the Persians and then Muslims. A brief period of economic renewal was enjoyed during the early Muslim period, however, the city was hit by a series earthquakes beginning in 749 AD which dealt irrevocable damage to its infrastructure. The damage to Gerasa's physical structure was further exacerbated during the Crusades when the city was garrisoned and the Temple of Artemis converted into a fortress - this was captured and burnt and evidence of its fiery destruction is still visible today in the form of its blackened interior walls. In the post-Crusade period, Gerasa was utterly abandoned and remained so until its rediscovery under Ottoman rule. The city's ancient remains became buried in the sand, which accounts for the excellent preservation found at the site. "What to see there": Modern day Jerash is also known by the names 'Pompeii of the East' and the 'City of a Thousand Columns', this is a testament to the quality of the surviving archaeology at the site. Serious excavations began in the 1920s and have continued virtually unabated ever since. The excavations have focused on the western side of the river as the majority of remains on the eastern side now lie beneath the modern city. Unlike at the actual Pompeii, very little evidence has been uncovered of the city's residential buildings (these would have been on the eastern side) and the vast majority of buildings on display were public and grandiose. Unlike so many other ancient city sites, a large portion of ancient Gerasa has been sectioned off from the current city meaning that it is not encroached upon by modern buildings and that it is possible to get a real understanding of what it would have felt like to wander its streets in Roman times. Hadrian's Arch: this is a massive triple-arched triumphal arch situated just outside the city walls to the south. It was built to commemorate the visit paid to the city by the Emperor Hadrian in 129 AD - 130 AD. The arch was partially reconstructed between 2005 - 2007 meaning that although it now stands to a height of 21m, only the lower 11m is original Roman construction. Hippodrome: this is one of the smallest known Roman hippodromes (245 m x 52 m) and was probably built during the reign of the Emperor Hadrian. It originally had a seating capacity of 15,000 and was used for variety of sporting events, in particular, chariot racing. The arena has been largely reconstructed (using original materials where possible) and is, once again, being used as a performance space. RACE (Roman Army and Chariot Experience) puts on daily (except Tuesdays and Sundays) performances consisting of military displays, gladiatorial combat and chariot racing. The Temple of Zeus: construction of this began in 22 AD, but was not completed until the 160s. Although badly damaged by both earthquakes and erosion, this is still an imposing structure. The temple was constructed on a large podium and is typical of Romano-Syrian architecture. The Temple of Artemis: built between 150 AD - 170 AD, and situated within a colonnaded temenos. Of the temple's original 12 intricately carved Corinthian columns, 11 are still standing. Despite being badly damaged at several points in its history, first after an edict issued by Theodorius in 386 AD which made legal the destruction of pagan temples, and second when it when it was destroyed by Crusaders, the temple is still an important and beautiful example of Roman architecture. Forum: this is a distinct oval shaped plaza (90 m x 80 m) which is surrounded by 56 unfluted Ionic columns. The forum dates from circa 300 AD. The Western Baths: built during the 2nd century AD and once an impressive structure, these are now badly damaged, although some walls still exist to the height of a couple of metres. These also contain an example of an early pendentive dome. Nymphaeum: this is a two storey structure dating from circa 191 AD and considered one of the most significant monuments surviving at Gerasa. The ornamental fountain would once have been covered with a half dome in the shape of a shell and although this has not been preserved, many interesting architectural features remain. In front of the fountain there are several standing Corinthian columns and a pink-granite basin, which is probably Byzantine in origin. Cardo Maximus: the city's original main thoroughfare, which still runs for 800m straight through the centre of the site. The majority of the columns that line the way were reconstructed in the 1960s, but the well-trod and wagon-rutted paving stones are original. The South Theatre: this is an extremely well preserved (although it has been partially reconstructed) example of a Roman theatre, first built between 81 AD - 96 AD and originally providing seating for up to 5000 spectators. The scaenae frons, stage and seating area are all evident. The theatre is used as a performance venue during the Jerash Festival of Culture & Arts. The North Theatre: this is another example of a structure that is virtually intact. The theatre, built in 165 AD and later enlarged, was probably not used for performances but rather as a venue for government meetings - the names of some local officials can still be seen carved in the seating. The theatre has been damaged by earthquakes in the past, but has now been restored. The above list only details the major points of interest at Gerasa, the entire site is resplendent with other examples of churches, temples, fountains and all the other structures of which a Roman city consisted, it truly is a must-see for any Roman enthusiast. Ostia is like a visit to Pompeii without the hours long train ride to Rome. It allows visitors to step back in time and become engrossed in history! "About this place": Ostia was one of the earliest Roman colonies that grew to prominence following the days of Julius Caesar to serve as an essential port for the city of Rome. The Emperor Tiberius added to the Ostia's importance by creating a secondary artificial harbor, Portus, thereby turning this area into a central maritime hub. Soon after, though, Emperor Trajan invested in a new harbor to accommodate the issue of silt that had clogged access to Ostia's inlets, a move that prompted Ostia's stagnation. Despite this setback, the city continued to thrive, purportedly reaching 100,000 inhabitants by the third century. Portus continued to grow while Ostia languished, resulting in the slow decline of the city over the subsequent centuries; by the ninth century it was considered abandoned. "What to see there": Ostia Antica today is encapsulated within its own archaeological park and thus allows modern visitors to take a step back in time to walk the streets of an elaborate ancient Roman town. Tourists can stroll the decumanus maximus to observe the ancient necropolis and amphitheater; closer hunters can find well-preserved insulae, or apartment blocks, temple spaces, and even the remains of one of history's earliest Christian basilicas. An accompanying museum that holds a wealth of artifacts from the archaeological site rounds out a marvelous sampling of an ancient Roman city. ToposText is a similar application focused on Ancient Greece. We are extremely grateful to ToposText creator Brady Kiesling for the generous assistance he offered. Johan Åhlfeldt built DARE – the Digital Atlas of Roman Empire – Johan's tireless map-making made TimeTravel Rome possible. We admire Johan's work and we are extremely grateful for his contribution to the TimeTravel Rome project. Pavla SA has developed the TimeTravel Rome mobile interface. Pavla's wonderful expertise and flexibility made TimeTravel Rome possible. Covalence offers Environment, Social, Governance (ESG) services to finance professionals in Switzerland and elsewhere. Covalence IT experts offered a valuable help in structuring TimeTravel Rome database. Thanks to A. S. Kline's modern, high-quality translations the Latin classics have been made available to everyone. We are extremely grateful to A. S. Kline and Poetry in Translation for agreeing to partner with us. Numerous of A. S. Kline's works are available for purchase in paper-back and eBook editions. 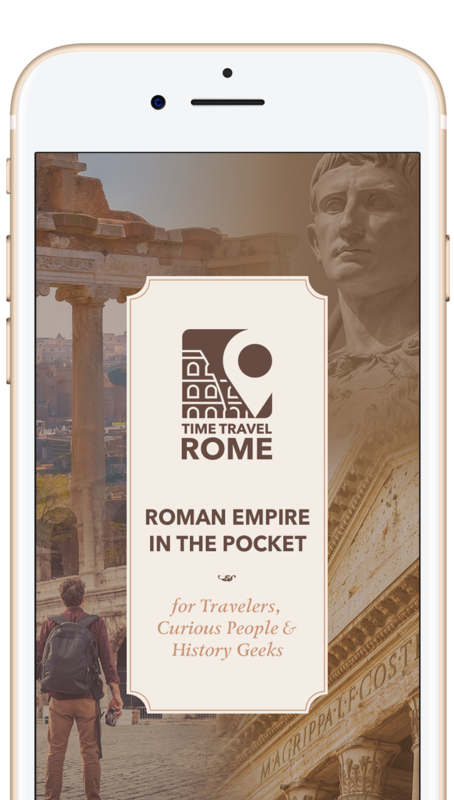 This morning I received word that a new travel app entitled "Time Travel Rome" was now available for Apple and Android smartphones. I downloaded it and was amazed by the depth of information included in it. It not only includes location information including GPS coordinates to aid in locating each site but offers the related Wikipedia information in either English or French, a proprietary article pointing out site features like museums or visitor centers nearby, and even passages from the ancient texts where the site is mentioned. Time Travel Rome Mobil App: The Entire Roman Empire In Your Pocket! This app could become a very useful learning & teaching tool for Classics & History students and teachers: it is very complete, modern, easy-to-use and it's up-to-date. The content is being updated regularly, as hundreds of new sites are added every few weeks. I have to admit that before using the Time Travel Rome app, I didn't know just how many chunks of ancient Rome could be found in Italy's capital. In actual fact, there are lots and lots of Roman ruins in and around Rome. The Time Travel Rome will help you find all these sites. Not only that – the app will help you plan routes between historical points of interest – and it'll give you a detailed run down on the ruin you are at, plus, in many cases, links to Wikipedia articles and more.For Roman history buffs, this app is a must have, I'd say. Educators may also find this app useful when exploring Rome with their students on school trips. Not everyone is so lucky to be able to travel to Rome, much less see all the great cities and landmarks that once were a part of one of the greatest empires known to man. If you have always had a fancy to learn more about these cities and places so far away and how they might have played a part in the empire, TimeTravelRome is the easiest and cheapest way to do so. TimeTravelRome is a free to download app that is pretty much a mobile encyclopedia on Roman Empire from Great Britain to Turkey. In the Eternal City every monument tells a story. But these monumental behemoths often overshadow Rome's lesser-known legacy, which without the right guide remain obscure and overlooked. A perfect example is the Arcus Argentariorum (the Arch of the money-changers). Annexed to the side of the seventh century church of San Giorgio in Velabro, the arch is rarely seen by tourists as it lies well off the beaten path. An important place is missing? You want to partner with us?